Ukrainian Prime Minister Arseniy Yatsenyuk has announced his resignation following turmoil in government. Yatsenyuk made the announcement from the dais of the parliament after two parties said they would pull out of the governing coalition. 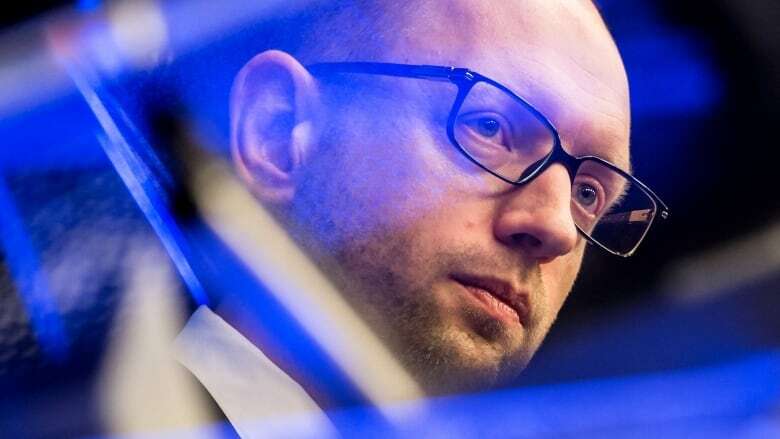 "I am announcing my resignation [in connection] with the collapse of the coalition," Yatsenyuk said. He said the parliament could no longer do its work and pass necessary laws. The nationalist Svoboda party and the Udar party led by former boxer Vitali Klitschko pulled out of the group of legislators that took over after former President Viktor Yanukovich was ousted by protesters seeking closer ties with the European Union. Parliament speaker Oleksandr Turchynov said it was up to Udar and Svoboda to propose a candidate for temporary prime minister to lead the government until early parliamentary elections can be held.